We offer a full range of cleaning services for houses and condos in the Washington metropolitan area. Treat yourself to a sparkling clean home for a one time special event, or chose to have a first-time deep clean, with potential regular maid service to follow. We offer intervals of weekly, every other, every three or four weeks. Each and every one of our specially trained cleaning team members follow The Maids 22-Step Healthy Touch® Cleaning System to keep your home clean from top to bottom. Screened for trust-worthiness, you can rely on your cleaning team to come and go from your home without disturbing your neighbors, and while always respecting your privacy. Since we clean whether you are at home or not, knowing you can trust our professionalism gives you peace of mind too. 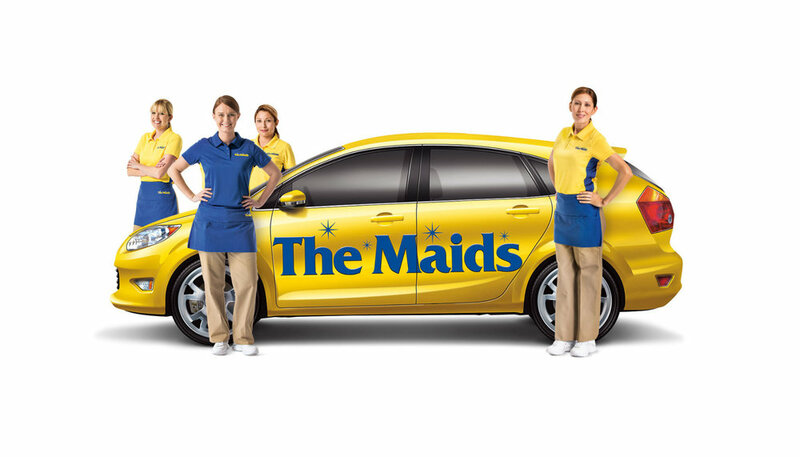 Are you wondering how The Maids compare to the competition when it comes to quality? We encourage you to research our company by reading reviews and contacting our references. We want every new customer to feel comfortable from day one. What Does a House or Condo Cleaning Service Include? We like to tell our clients that the first thing they get when they hire The Maids to clean their house or condo is more free time! Leave the cleaning to us and we will leave your home spotless from top to bottom. We would love to have you as either an occasional or regular maid service customer. Whatever option you choose, the same attention to detail means your home will look clean and smell fresh. Simply call our office at (703) 212-0100 or use the estimate form on this page to set up your first appointment. The Maids offers apartment cleaning services throughout the Washington metropolitan area. These service include regular interval cleanings and one time cleanings. What is Different About Apartment Cleaning? Our apartment cleaning service uses the same 22-Step Healthy Touch® Cleaning System that we apply to all of our cleanings, in order to give you sparkling rooms from top to bottom every time we visit. The big difference between house cleaning and apartment cleaning is accessibility, because we have to enter both your building and your apartment in order to clean your house. The Maids work around your apartment building’s hours, rules, and regulations, in order to access, and clean your apartment in a way that is safe and secure for all the building’s occupants. We can clean while you are home, or while you are away. Our reputation combined with our client testimonials and referrals is further proof that you can trust The Maids with your apartment building. What Does the Cleaning Services Include? Our 22-Step Healthy Touch® Cleaning System is a process of checks and balances that ensures we clean every nook and cranny in your home each time we clean, whether we come once a week, once a month, or just every once in a while. Our cleaning team supervisors double check each of our cleaning steps in every room, and space that we clean, in order to keep our cleans thorough and consistent every time, regardless of cleaning frequency. We also take special requests, and clean only the rooms that you need us to, so our cleaning system is tailored to your individual apartment and household needs.